Enable lean manufacturing through IIoT insights and intelligence. What is Predix Manufacturing Execution Systems? Predix Manufacturing Execution Systems (Predix MES) is a suite of solutions that can transform your manufacturing business through insights and intelligence powered by data integration, the Industrial Internet of Things (IIoT), machine learning, and predictive analytics. 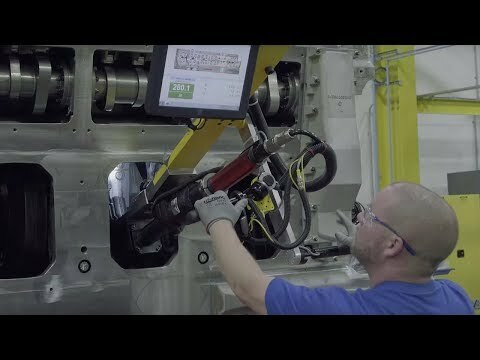 By bringing together the digital world with the physical world of manufacturing, Predix MES can deliver holistic performance management for today’s connected enterprise. By aligning resources, energy, and efficiency management your manufacturing operations can reduce inventory, identify costly production gaps, lower energy and utility waste, and gain insight into throughput and critical processes. Capture robust quality data and related traceability information, while at the same time performing analysis on process-oriented data and product-oriented data, and classifying materials as non-conforming, out-of-spec, or related to recalls. Improve on-time delivery performance and respond optimally and with agility to late stage changes, gain up-to-date visibility of all work-in-progress orders, get more successful new product introductions (NPIs), and shorten design-to-delivery cycles. It has the flexibility to look at the same data in different ways that makes sense for a particular operational team, at a particular time. We found that as the years went on, we were collecting more and more big data. And we were able to utilize a lot of tools from GE Digital to analyze that data and turn ourselves into an algorithmic-type organization. Having reliable software systems to control our output is very important. We made our first implementation of this technology in China. Then we brought the technology to Sweden, used the learnings from implementing MES in our China plant and challenged ourselves to improve how we work, prioritize and bring the solutions to production. This has really been successful and the team from GE Digital have been with us at every step of this journey – we took one step together, saw the results, then took another step. It is an interesting journey – and it is far from finished! Consolidate and transform manufacturing data across plants for cloud storage, analysis, and analytics. Stay competitive with reduced WIP, tighter control on quality, and a streamlined supply chain. Accelerate time-to-market and improve just-in-sequence performance at a global scale. Interested in seeing Predix MES in action?